It’s been years since I last played an NBA Live game. Sure, I’ve played the demos, but I have never been impressed since the series made the jump to the current generation of consoles. 2K’s NBA have simply done things better and won every year almost by default. 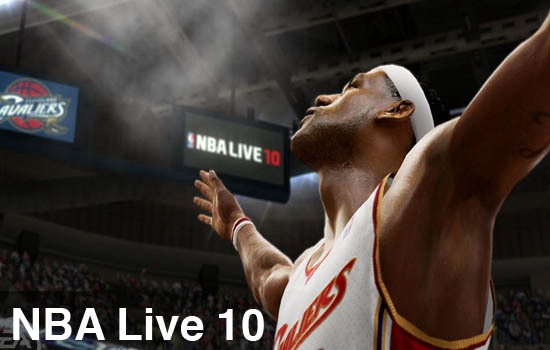 With NBA Live 10 I think EA Sports has finally turned that corner and created a game that can compete with the 2K offering, although I am basing that on my play of last year’s NBA 2K9. It is obvious the development team has given as much time and care with making this as other EA developers have since Madden NFL 10 came out. Both NBA games take different paths in the overall control and feel sections. With 2K they use the right analog stick to make shots while Live uses the X button to do so. Live uses the right analog stick for different moves that depends on the status your player is currently at (standing up dribbling, driving, etc.). This makes the Live series a more dynamic one in the control arena, but in past iterations that greatness has been brought down by such things as slowdown with framerate, very loose controls and overall bad AI from what I have played of them. Since we are at Co-Optimus, we need to talk about what NBA Live 10 has in the co-op arena. The main co-op mode would be Team Play through online. You can play 5 vs. 5 online and it is pretty fun. The only minus is that you can’t play a whole season this way, just one game. These games also seem to devolve into everyone wanting to hog the ball and wanting to shoot the ball instead of actual team play. The lag isn’t so bad here, although there are times it may hop a bit. There is also the Adidas Live Run mode where you play a 5 vs. 5 game of 21. It is rather fun because you get to choose your player and records are kept for at least a month. However the brass ring in a basketball game would be the ability to play Dynasty online cooperatively (meaning having at least you and a friend doing managing/playing), which this game doesn’t give you. They’ve certainly come forward in the co-op arena, but to make it a full experience there must be a Dynasty option. Page created in 0.9858 seconds.